Here it is, the all new 2017 Jeep Compass straight from the India factory. Car Gurus presenter makes a good clearly spoken job of this independent review by telling what he considers what the good points of the Jeep Compass are, and faults he considers Jeep need to make some improvements or modification. Dont confuse this with the ‘old model’ Jeep Compass. It is confusing as some dealers will still have the old model on their showroom floor, along with this all new version. I looked at several reviews before picking this one and the message was same in all of them, this is a very different Compass so if you are wanting to inspect and/or take a test drive you want the new model for sure. Size wise it is between the Jeep Renegade and the Cherokee models, plus it comes with choice of four different badges. There is the Sport, Latitude, Limited and Trailhawk versions along with a variety of options for each. If you want to go off-roading the Jeep Compass Trailhawk will leave its competitors like the Ford Escape and Toyota Rav4 well behind stuck in the mud while the Trailhawk will live up to the Jeeps reputation of being the one to beat when the going gets tough and sticky. 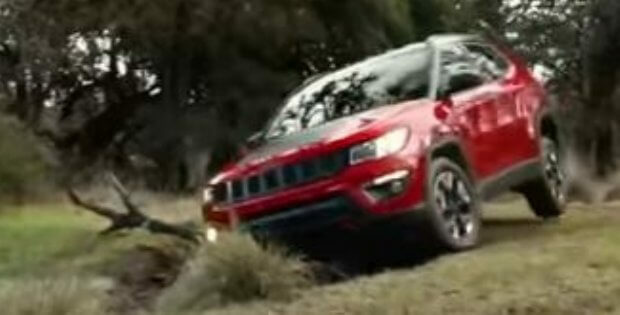 Comments are the Jeep Compass is comfortable and a pleasure to drive. Powerplant is the 2.4 liter Tigershark engine, same as used in other Jeep models including the basic Cherokee. Quite a grunty engine at 180 hp and 175 ft.lb of torque so performs well especially when mated to the 9 speed auto. Gas mileage is good too with EPA saying 22mpg in city, 31mpg on highway with an overall average of 25mpg. Your chance to see the Jeep Compass in action in this independent review. Special thanks to Car Gurus for this review. Photos are taken from the video.